May 8, 2015, Queens, NY The New York Yankees are “officially” a force to be reckoned with thanks to their “lights out” relieving Dynamic Duo, Dellin Betances and Andrew Miller. The Yankees beat the Baltimore Orioles 5-4 to take the first two games of a four-game series. The Yankees jumped out to a 5-0 lead, but the Baltimore Orioles scored two runs in both the fifth and sixth innings to cut the lead to 5-4. In the seventh inning with two outs, Dellin Betances entered and got the final out of the inning. In the eighth inning, more of the same; the Orioles were retired in order by the 6’8″ flamethrower. 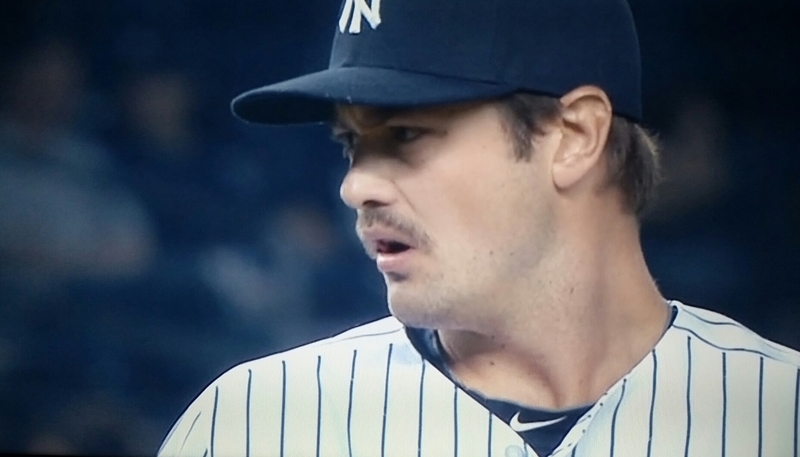 In the ninth, in came the closer, all 6’7″ of him: Andrew Miller. The Orioles went down without much of a fight. The tandem faced seven batters and got seven outs. Betances got the win and improved his record to 4-0 while Miller picked up his 13th save. The Orioles out hit the Yankees 10 to 8 with Manny Machado going 3 for 4, to go with one walk and an RBI. Jimmy Paredes, the DH, drove in two runs. The Orioles undoing was their leaving 9 runners on base compared to the Yankees who left only 5 runners on base. Miguel Gonzalez lost for the second time in five decisions dropping his record to 3-2. Jacoby Ellsbury kept his hitting streak alive with a first-inning single raising his streak to 11 games, and Alex Rodriguez hit his first triple of the year. The Yankees are 19-11 and maintained their three-game lead over the Tampa Bay Rays. Tomorrow they resume the series against the Orioles at Yankee Stadium at 1:05 p.m. The slated starters are Chase Whitely for the Yankees and Wei-Yin Chin for the Orioles. However, the real story is the new Dynamic Duo who have made the Yankees as formidable a team in MLB as any other. If the Yankees can continue to bring leads into the seventh inning, you can pencil them in for the playoffs and consider them a legitimate World Series contender.